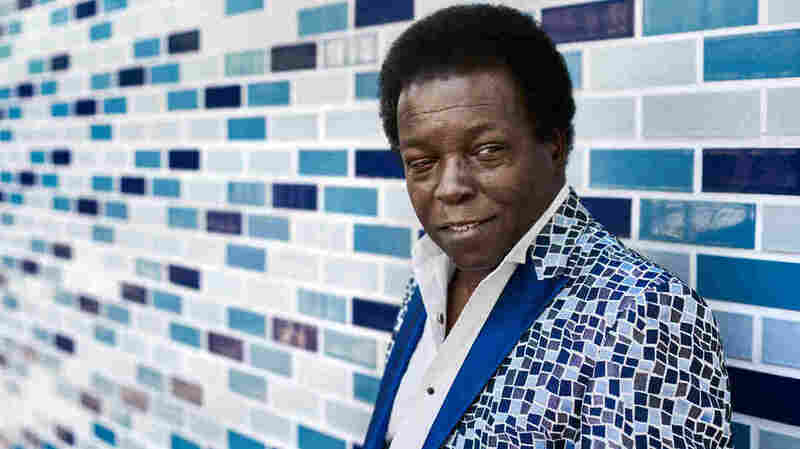 When Lee Fields Says There Will 'Never Be Another You,' Believe It Most of Fields' songs have been about love won, fought over and lost; it's a testament to his talent that each new one can feel like he's singing his heart out for the first time. Lee Fields & The Expressions' latest album, Special Night, is out now. In the last week of 2016, we're featuring just a few of the songs that, for whatever reason, never got their due this year. "Never Be Another You" opens with a striking effect: It's like listening to lumbering footsteps splashing through puddles of reverb. That plinking sound — possibly from a vintage synthesizer or drum machine — is otherworldly, but the rich, earthy resonance of Lee Fields' vocals provides an anchoring counterweight; his voice is gravity. Even as a teenager, Fields already sounded like someone who had seen — and loved — enough for several lifetimes. At just 18, he cut his first single: 1969's "Bewildered," a pitch-perfect cover of one of James Brown's early hits. Fields released several more singles over the course of the 1970s without attaining much prominence. Still, throughout the '80s and '90s, he navigated the highly regional ecosystem of the Southern soul circuit, punching out albums and filling seats outside of any national spotlight. Then, much like what happened with the late Sharon Jones, a younger generation of soul and funk musicians rediscovered Fields in the late 1990s and convinced him to revisit the sound and style of his early career. Eventually, he linked up with The Expressions, a Brooklyn band that had mastered the playing and production aesthetic of '60s and '70s R&B. This fall's Special Night marked their fourth collaboration together, and, filled with an array of heartbreak ballads and funky steppers, it easily ranks among their best. "Never Be Another You" is a standout amid strong company, a first among equals. The excellent production aside, Fields is at the peak of his emotive craft. He uses a subtle rasp at the back of his throat to sand his notes down to a piercing point, and — for someone who's been professionally singing for over 45 years — he's seemingly lost none of his power. Most of Fields' songs, across his career, have been about love won, fought over and lost; it's a testament to his talent that each new one can feel like he's singing his heart out for the first time. Special Night is out now via Big Crown.